Pre Brush Through, Bath, Blow Dry, Nails Clipped, Ears Cleaned & Styling to your request. Puppy Groom can start 2 weeks after their final vaccination. This puppy groom includes bath, brush, nails clipped ears cleaned and a tidy of the face, feet and bottom. 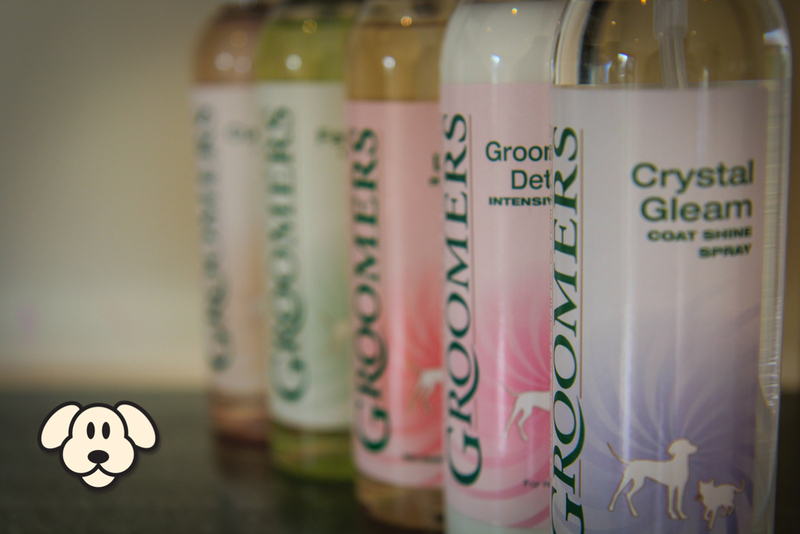 Great introduction to get your puppy use to the grooming process. Price dependant on breed and age. Hand stripping is the removal of the dead coat from wire-coated breeds. Without damaging the coat. This is carried out on most wired coated breeds. Please ask for a quote. This Tearless formula has a refreshing scent that effectively cleanses whilst removing dirt, beard and tear stains. This product is popular with white-coated dogs, such as Bichons and Poodles; this helps keeps faces and paws white. Help! My dog is obsessed with toys! Rocky loves his time at Doggy Lodge. He's excited from the moment we pull into the lane and can't wait to get out of the car to join his buddies. When I collect him, he's happily exhausted. The staff are always friendly and helpful. I can't recommend it enough. Thank you for making it such an easy and lovely day. Tan, Jezz, Piper & Bess ? Coco loves her visits to the doggy lodge, she always has a lovely time and comes home shattered. This is a wonderful place and we are so glad we've found it. We've used the overnight facilities too and the whole thing is just fab ? Fabulous day - well organised and such a lovely environment. Looking forward to many more like it! We wish we'd found you earlier. We are.so happy And our Tillie lou loves going there. BRILLIANT STAFF SUCH LOVELY PEOPLE.. HAPPY TILLIE HAPPY US ???? So impressed!! Very helpful staff made the transition for our dogs very easy and stress free. Our two Great Danes are loving Doggy Lodge. Highly recommended! Brodie had a wonderful time at his first session. He was only there for the morning but he came home exhausted. He slept for most of the afternoon. Thank you looking after him. He will see you next week. I will be able to relax knowing he will be happy and having fun. This is Topsey's 4th visit to Doggy Lodge (including a week long stay) and she loves it. She’s always so excited to come and is always exhausted once she’s home. We feel so comfortable leaving her here, especially while we were away on holiday - we had lovely updates and knew she was being thoroughly well looked after. Thank you! Perfect for my long-legged hound who likes to run around. It's so refreshing to find somewhere for dogs to be dogs and spend time outside in a natural environment and not on concrete. 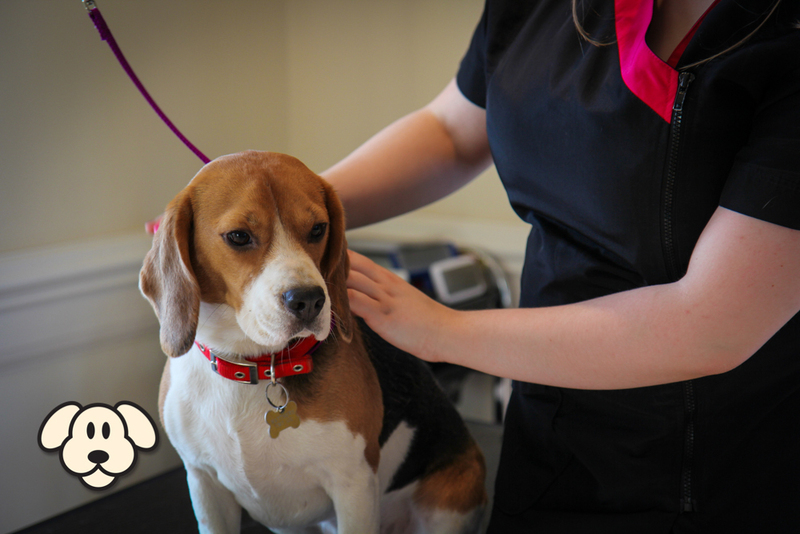 The staff take the time to let you know how your dog has been and seem to genuinely care about the animals they look after. Penny comes home absolutely exhausted so I know she has been active and having fun all day. I highly recommend. My puppy had a great first day, has been asleep since,!! lovely staff and wonderful day of fun, booked in already for next week. My dogs loved their first time at The Doggy Lodge and it was nice for us to have some time to ourselves. Even if it was just a few hours! Will definitely be bringing them back for regular day care! My boys Riley & Chester visited day care for the first time yesterday and I think they had a great time! They were exhausted at the end of the day and we didn't hear a peep from them. Have already booked them another day out and a trial sleepover!! Thank you to Paul and his team for putting our minds at rest and looking after our furbabies! My dog Silky always has a lovely time at Doggy lodge, we use it quite sporadically due to changing work patterns but she is always thoroughly welcomed and fully accommodated - often at the last minute! My puppy came for a taster morning session in preparation for a stay. He had a great time I'm told and got on really well with all the other dogs.He slept for most of the afternoon and evening which was nice 🙂 I just wish I could have seen the other dogs there. I will certainly be booking him in to stay for a few nights. Brilliant, brilliant! Wonderful safe and happy Doggy lodge. Merlin is happy to go and spend time there. Fabulous staff. Better stop now or everyone will want to send their pooches there. Well done Paul and staff. Just to say Baggins and Dollie love the Doggy Lodge. Hi, We always have a lovely quiet day, the day after the dogs have been with you. So we get two great days of peace ? Thank you. Jelly and Juno had a wonderful time. When we left, they were asleep before I had even pulled out of the drive! What a fantastic place, I wish I had known about the Doggy Lodge sooner and will definitely recommend you to my friends. Thank you. Our boy goes regularly and absolutely loves it. I would definitely recommend! Can’t praise enough!!! This was the first time our 18 month old pups had been away., so it was nerve racking for me. There was no need to have worried, they were well looked after, and most of all they had fun, whilst learning to socialise. Would highly recommend. Can't praise Doggy Lodge enough. Alfie's loves it, he can't get out of the car quick enough and doesn't even turn around to say goodbye. Would recommend you any day, we have no worries and always know that he's safe and happy. Everyone I met at doggy lodge was really interested in doggy welfare and very personable. Unfortunately, in spite of care and attention, my very nervous lurcher wouldn't settle on his trial morning. This is down to my dog's issues. I collected him early. I was more than impressed when I was refunded for the morning. Just want to say a big thank you to doggy lodge for giving Jasper a chance. I will definitely recommend them as it is a secure, safe, fun and caring place for most dogs. Friday is Lola’s favourite day of the week when she comes to play at Doggy Lodge! Professional and friendly staff. Yoda hopes to see you again. Top class friendly service. Happy dogs. Rosie has had a wonderful time at Doggy Lodge, she came home very tired and happy! A wonderful service! They always save the day when the unexpected crops up and I need care for my furry friend at short notice. The facilities are great and so brilliant for socialization with such a great collection of different types and size of dogs for my little one to play with. She always comes back and goes straight to sleep after such a busy day, so great for her exercise too! Can't recommend them enough for what they offer and their obvious care and engagement with their daily guests. Hi everyone at the Doggy Lodge, Eddie would like to thank you for an amazing week. He had great fun and was exhausted every night. My daughter who brought him and picked him up said he was like a different dog, very well behaved, no going crazy when anyone visited. A Big Thank you to everyone and Eddie will definately be coming again. This place is a real gem highly recommend even if you just wanted to teach your dog how to socialise. 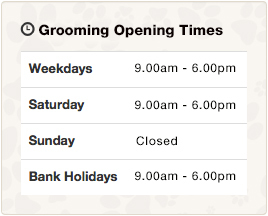 The ease of booking and the way our dog was treated make the doggy lodge a first rate place of care. We highly recommend and look forward to future play days with the dogs and staff at the doggy lodge . Molly had a great time she is always happy to come to day care and is exhausted when she comes home. Fantastic place, lovely friendly and helpful staff. Thoroughly recommend. Ralph’s first day at The Doggy Lodge. He obviously enjoyed himself and got plenty of exercise as he’s still tired the day after! The environment is doggy heaven, a great place for continuing socialisation and stimulation. The photos and videos on FB site are great. Will be making this a weekly visit. Jenson is a very ‘golden’ retriever today! After a lovely morning playing at the Doggy Lodge, Chloe gave him a grooming session. He looks gorgeous and smells divine. It was his first time, but won’t be the last. Thanks to all x All Jenson really wants is to run and play with other dogs, and he's found his perfect paradise at the Doggy Lodge! Connie always has a great time at Doggy Lodge. She loves going to Doggy Lodge and comes home very happy and tired! A huge thank you to everyone for all your care of her. Poppy had a great day... Quiet at first as it was her first time and not used to being off the lead but ...true to beagle ...just had to see if she could get out, but alas no..so joined ins the fun and had a good run round with the others. Looking forward to the next one. So glad we took Nellie to doggy day care, got great feedback at the end of the day and Nellie was asleep for the rest of the night showing she had a good day! Can't wait to bring her back! Roxie stayed with you on Wed 21st Sept came home very tired we all had a restful evening and most of the next day. We'll be back. Thank you for always taking such good care of Loki Leah and our newest member Ally they always have the best of times when they are with you. Fantastic ! Our Labrador puppy has a great time and returns home a very happy but tired dog. Thank you. Thank you for making Archie's first day at the Doggy lodge so easy. As he is only four months I was worried about leaving him, but there was no need as I know he was treated like he would be in his own home and was very well looked after. Wouldn't hesitate to bring him back. Cody looked like he thoroughly enjoyed himself, not sure he wanted to come home!! It was great to know that Reggie was able to play and have fun for the day, as well as being supervised and safe. He came home shattered and happy. Thank you. Fantastic site for dogs to run around in safety. Professionally run. Willow was exhausted when she got home, we didn't hear a peep from her. Highly recommended. Benji the Miniature Schnauzer has been attending Doggy Lodge Daycare a few days each week for a month or so now. He was a very anxious little boy when he first started going and was very noisy round strangers and other dogs. He has grown in confidence after each visit and is now very well behaved each visit. He is very excited when arriving at Doggy Lodge Daycare and cannot wait to get in. We are very happy with Doggy Day Care and think it is an excellent venue to for your dog to attend. I should have used Doggy Day Lodge along time ago. Riley our Husky comes home very worn out and it has made him more sociable towards other dogs. The people are very friendly - website is easy to book your dog in. Happy days! Thanks for looking after Stanley he seemed to have a great time! You look after coco and bumble so well. I like the advice that's given if you have a problem. The couple of overnight stays they've had have been brilliant too. My 2years old playful boy had a lovely time with lots new friends yesterday. I really recommended. Rio had a fun filled day and certainly slept well. Excellent advice given. Massive improvement socially after one visit. Really great setup for the dogs, well thought out accommodation, easy to use website and an invaluable service for dog owners! On behalf of Maggie & myself, thank you very much! Susie seems quite happy to be left and she is tired for the rest of the day. She needs company which is why I bring her - more for her sake than mine! Thanks. My husband and I were very happy with doggy lodge day care! The dogs (belle and Frank ) came home shattered and would highly recommend anyone to doggy lodge!! Our two Beagles love it there. They get to socialise and to run off lead with all kinds of dogs. They get lots of exercise and fresh air and sleep well for the rest of the day! I love the space in the large field and also the dry areas in the house, so the dogs are fine in both good and bad weather. It's all very well organised. Plus the dogs are well cared for. I would recommend The Doggy Lodge to any dogs owners. Excellent service as always. I can see in my rear view mirror as I leave Ben enjoying himself and stretching his legs in the field with his friends! Thank you. Very friendly. Happy to share their procedures and facilities. My dog seemed to enjoy himself and came home very tired! 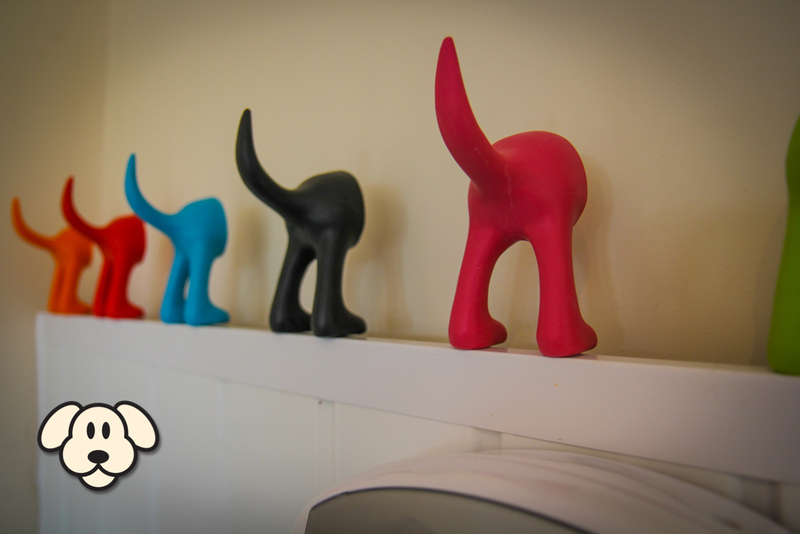 Our little dogs tail wags harder when we mention doggy day care! She loves every minute of it! We don't hear a peep from her all evening! First class service every time! Thank you for looking after Riley yesterday afternoon, he really enjoyed himself and he is already booked in for next week. It's lovely to see all the dogs looking so happy. Great service, very friendly staff. I felt very comfortable leaving Oscar for his trial day and we had a nice chat about how he had got on during the day on pick up. I think the booking system is great, really convenient online. Thank for looking after pickle ! Absolutely shattered, slept all night and this morning !! What an amazing idea. Nothing like this i've seen or heard of in Essex, just what i need for the occasional day when i don't want to leave Oscar alone. Will be a regular. WOW!!! My 2 Springers LOVED IT!!!!. Never seen them so tired. Perfect location for dogs. Thank you so much Rachel & the team. Great for my shift work. Hate leaving Bubbles but now I have you guys i'll be booking her in a lot. Perfect for her to run wild and play with other doggies.